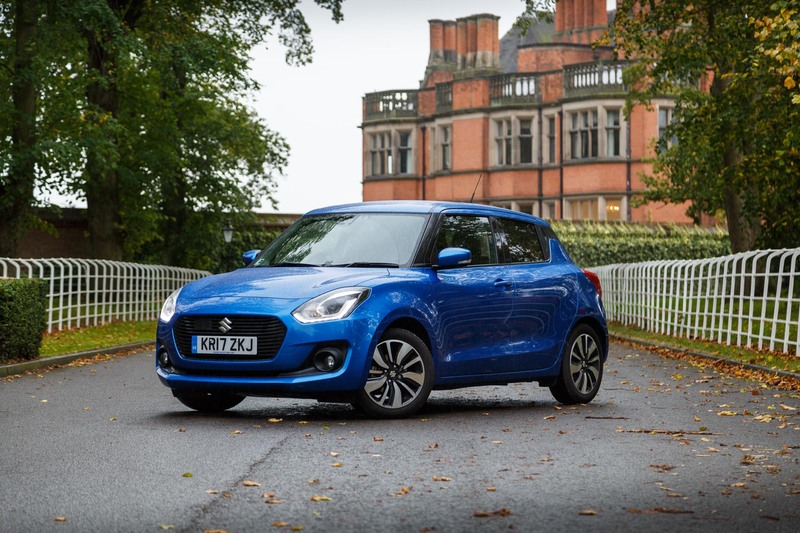 The new Suzuki Swift 2017 has been on the market since June of this year. I spent a week testing out the new model in the UK. See my thoughts on this car below. 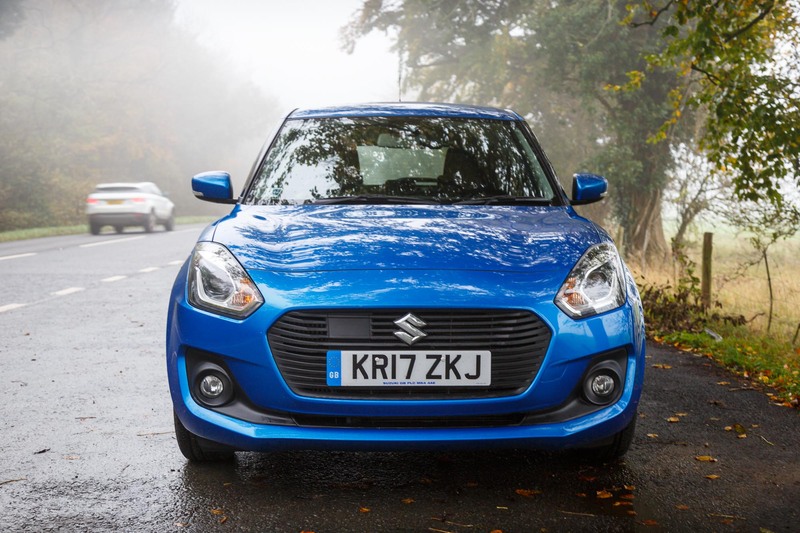 What is the Suzuki Swift all About? The third generation of the Suzuki Swift has hit the streets, and it appears to be the best to date. The latest instalment doesn’t differ too much from its predecessors. That said, it does have a softer and more friendly feel when seen from the front. A, B and C pillars have been blacked out, allowing for a snazzy ‘floating roof’ effect. No matter which way you look at it, this is a good looking car. 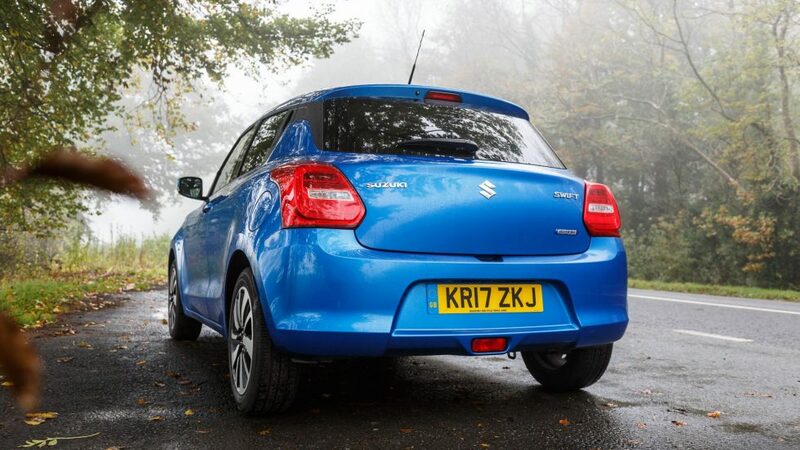 And the Speedy Blue tint is particularly eye-catching. SZ3: The base model. 6 air bags, air conditioning, DAB radio, privacy glass, daytime running lights and Bluetooth. 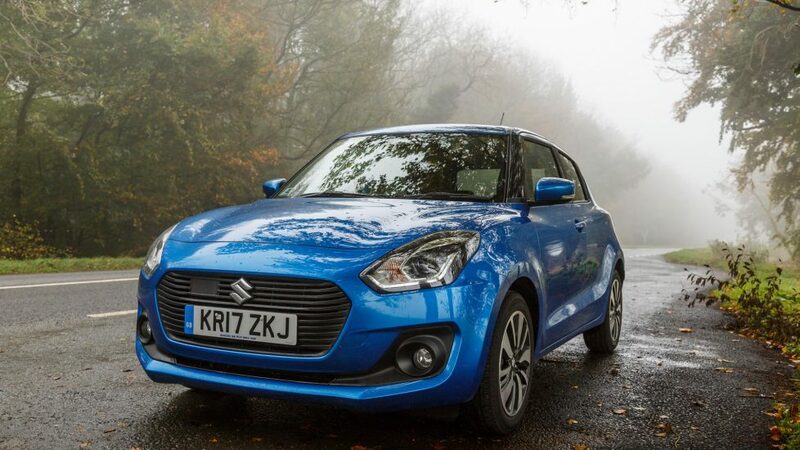 SZ-T: The mid-range model: Adds smartphone link, rear view camera, front fog lamps and 16″ alloys. 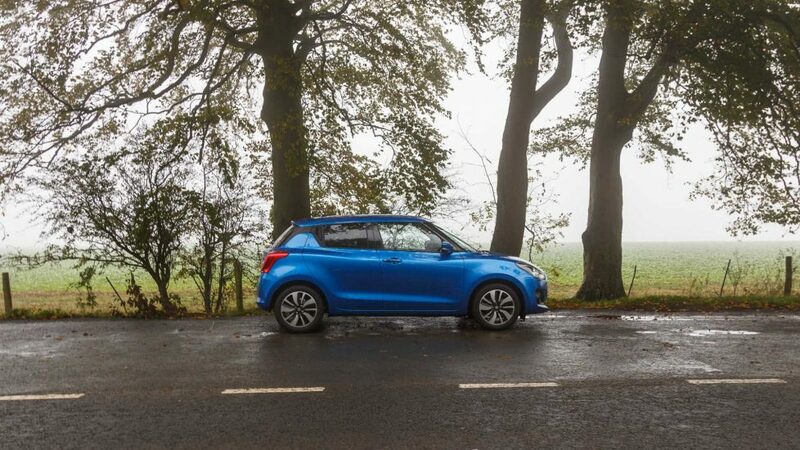 SZ5: High-end spec: Adds navigation, LED headlamps, polished 16″ alloys, rear electric windows, Dual Sensor Brake Support and Adaptive Cruise Control. Optional ALLGRIP Auto 4WD is available for those wanting more grip. I tested out the 1.0-litre SZ5 Boosterjet SHVS. A spunky three cylinder turbo engine powers out 111 PS and 170Nm of torque. This car can hit 0-60 mph in 10.6 seconds, and reach a top speed of 121 mph. 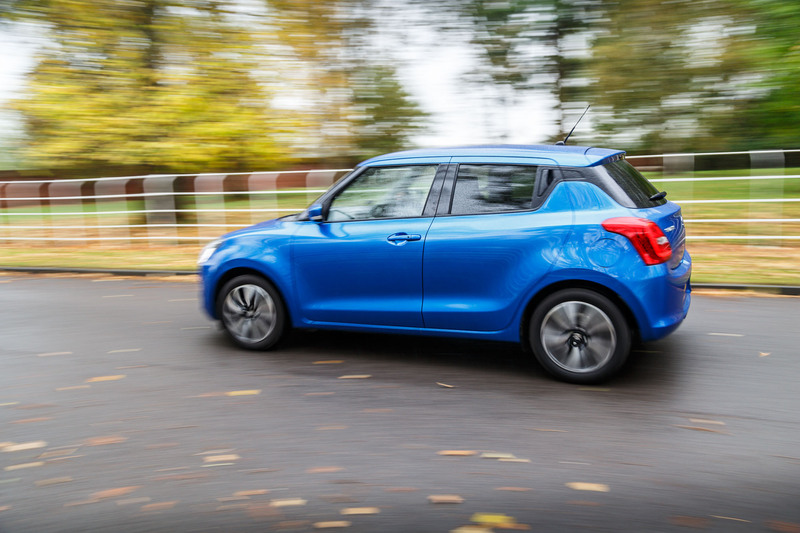 It’s not the fastest kid on the block, but the new Swift is still a nippy little drive. 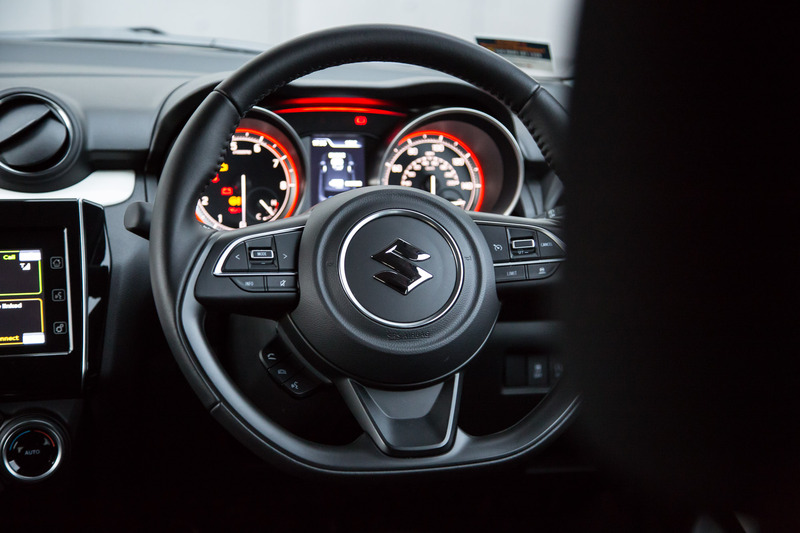 Power is directed to the front wheels via a 5 speed manual gearbox. 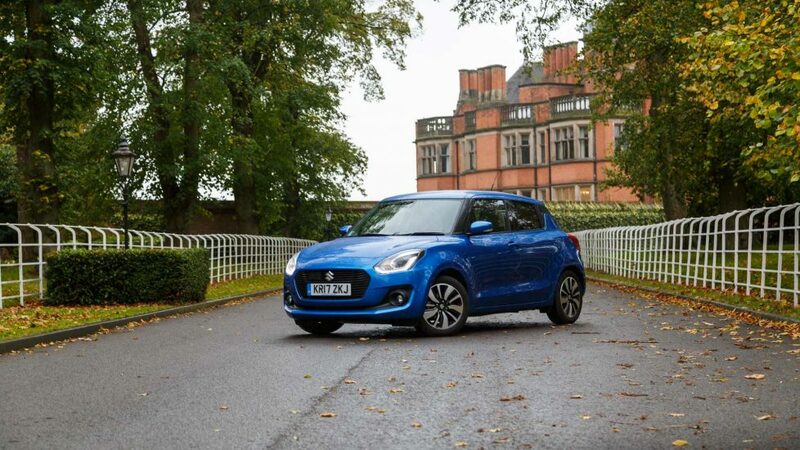 And the Swift has a hidden talent; a mild hybrid system called SHVS, enabling better efficiency. 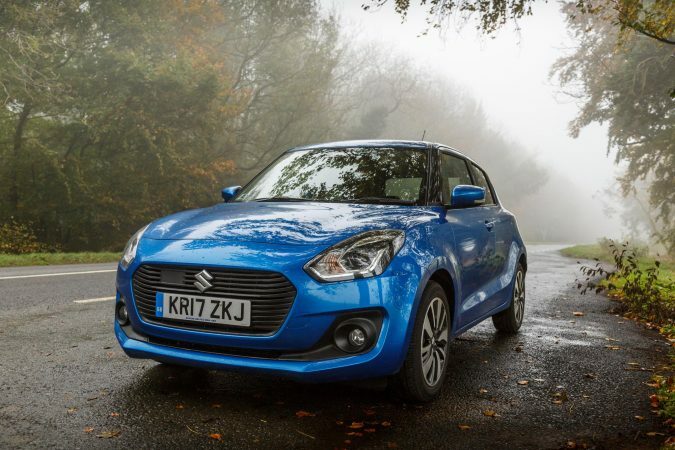 With this nifty little trick up their sleeve, Suzuki’s third gen Swift is able to return a combined fuel efficiency figure of 65 mpg and only create 97 g/km of CO2. 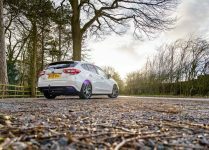 Having tested out both the 1.0-litre and 1.2-litre engines,I decided on a clear winner. 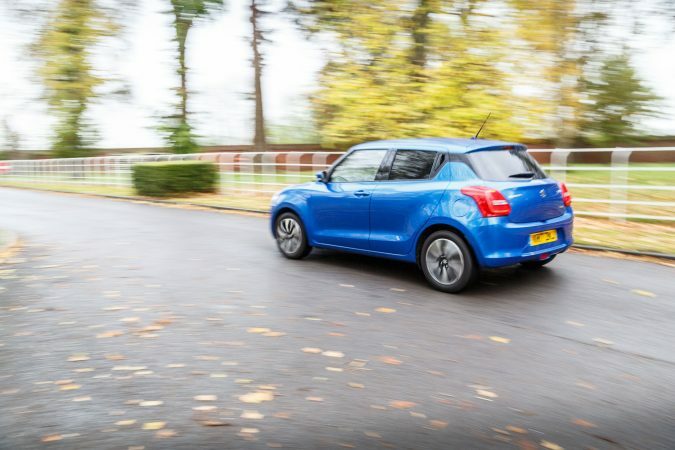 The 1.0-litre was a full head and shoulders out in front when it comes to power and pure fun. 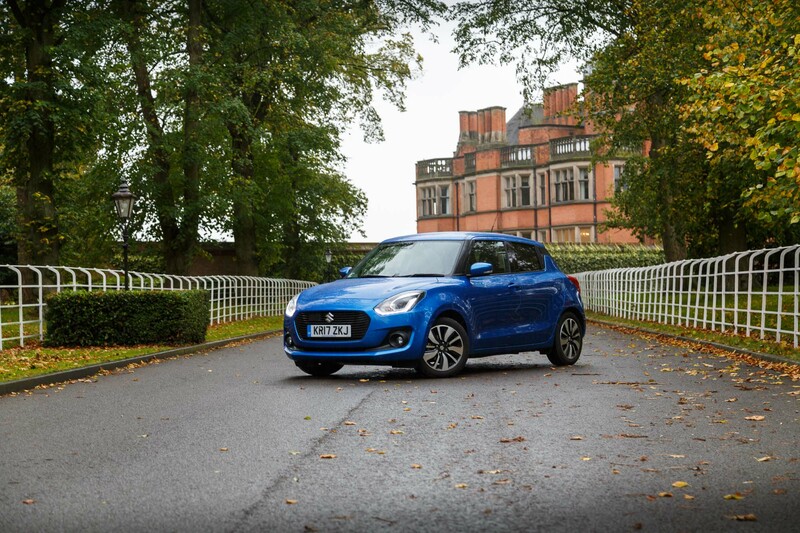 Weighing just 925KG, the three cylinder turbo pumps out plenty of power for an engaging and swift – excuse the pun – drive. Although the 0-60 mph time felt longer than the spec suggested (10.6 seconds), I had some fun revving up the raspy little engine all the way to the limiter. 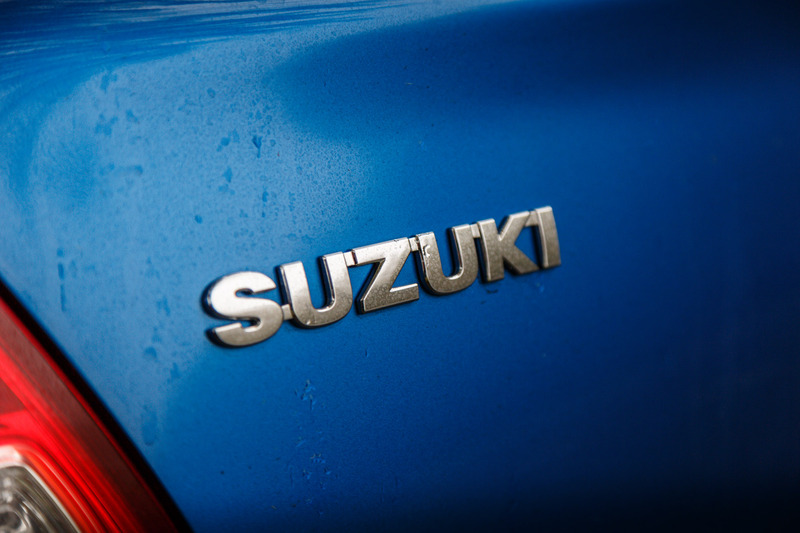 Suzuki have made noticeable improvements in this model when it comes to cornering. 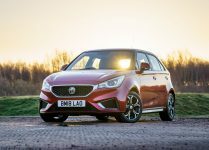 This lighter, stiffer model, courtesy of its new HEARTECT platform, tackles corners with better agility and ease. The third gen swift is a fun, playful and dynamic supermini. Lightweight construction leads to a ton of benefits and improvements over previous models. This model feels a lot less sluggish than previous models. Simply put, it’s far more energetic and sprightly. In terms of general, day-to-day driving experience, this is a clear bonus. For example, setting off from standstill at traffic lights and getting back up to speed is an easy feat. 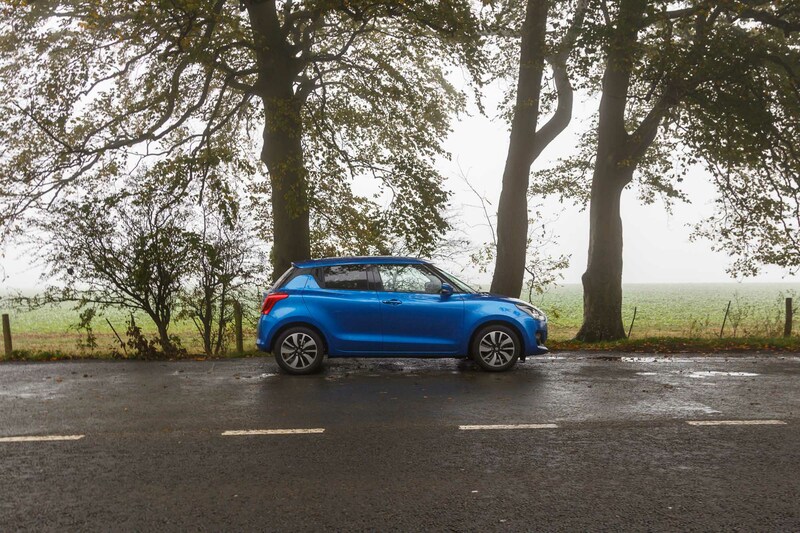 Speaking of getting up to speed, this car is best enjoyed when on sweeping, national limit roads – that’s when it really feels great to drive. 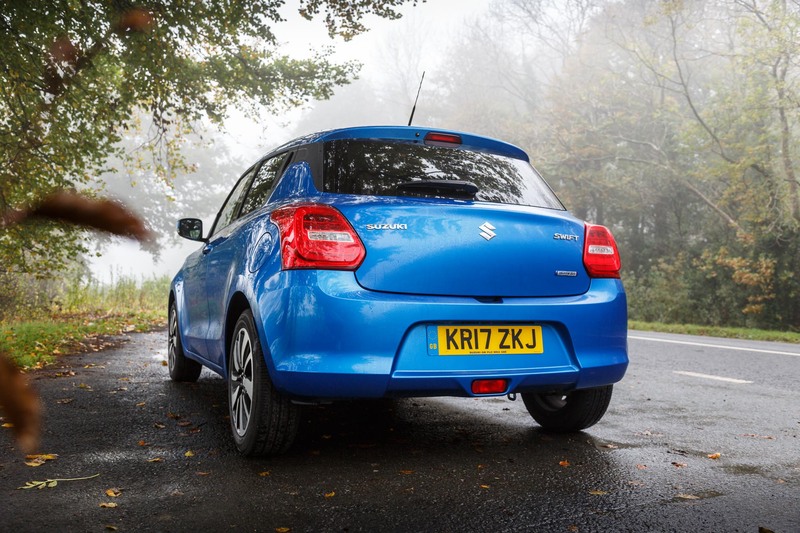 This is an affordable car, and the gear ratios are very well planned out against the three cylinder engine. 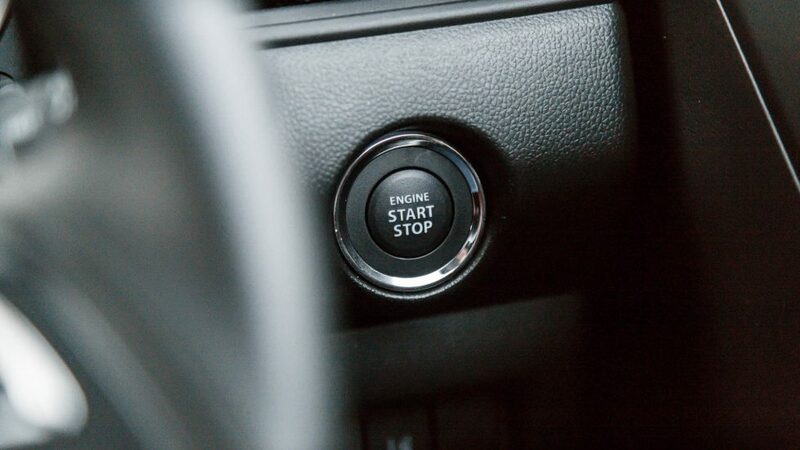 One little gripe I had was the gear shift feeling a little clunky. 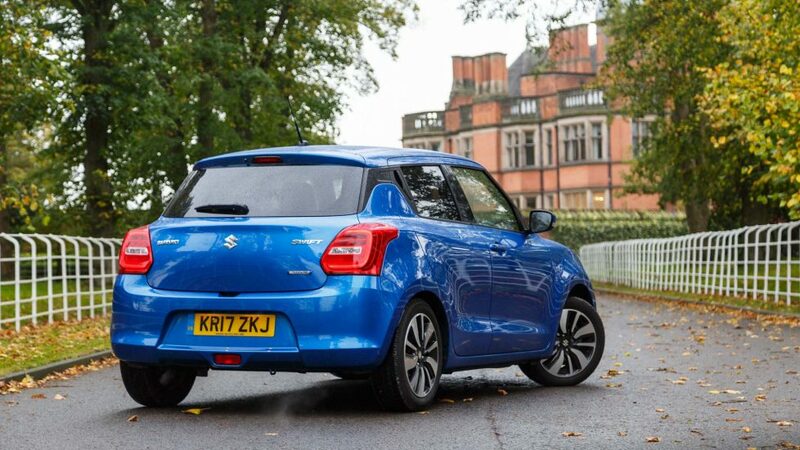 That being said, I did enjoy shifting the gearbox in this all-new Swift. It’s a perfect fit for this car. 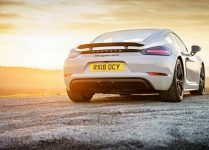 I would choose it any day over the six speed automatic gearbox – while this could be useful if you sit in a lot of traffic, it just isn’t any fun. One thing that is key to this model is the SHVS mild hybrid system. Importantly, it makes no complications whatsoever for the driver of this car. If anything, it’s an undisputed asset. 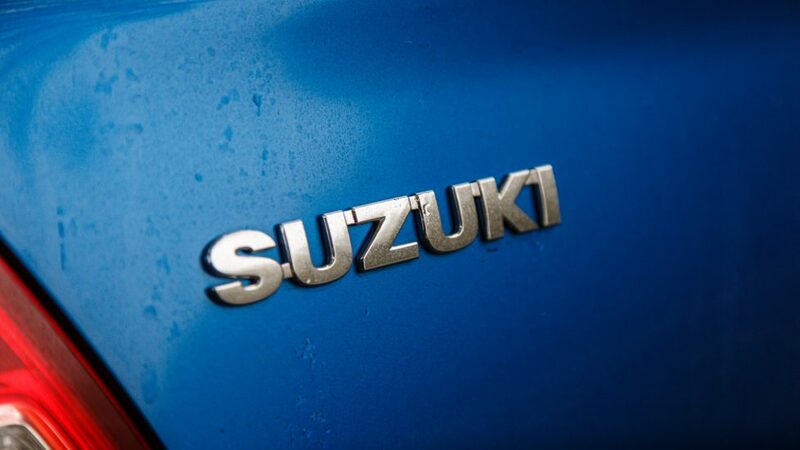 The system assists in delivering the power of the electric motor, meaning greater fuel efficiency. And that’s really all you need to know. 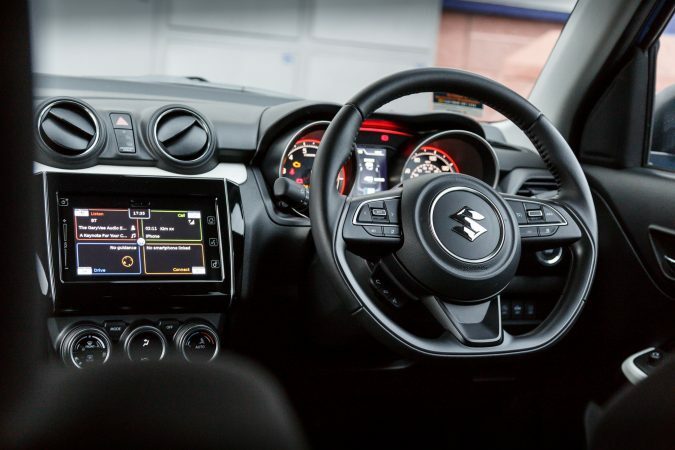 Getting inside the Suzuki Swift, the car now looks bang up-to-date. 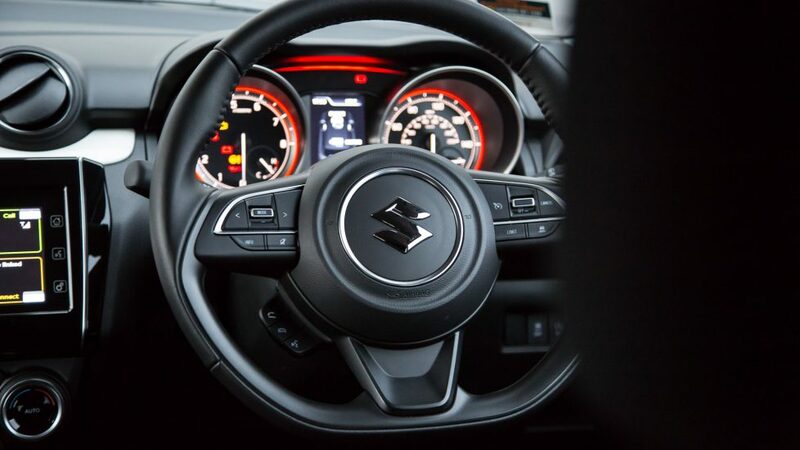 In the top of the range SZ5 model the car is fully equipped with Smartphone Linkage Display Audio via its large touchscreen, plus three-dimensional navigation maps, mirror link, Android Auto and Apple CarPlay. 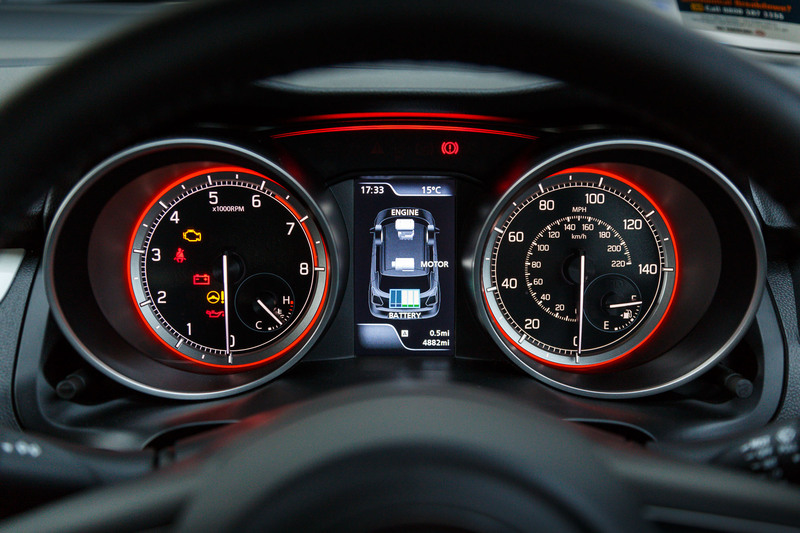 The infotainment system is very well thought out. Honestly, what’s not to be liked when it comes to the interior design? It’s logically laid out, simple and easy to use. 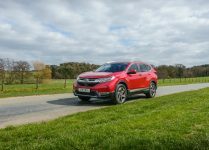 There’s heaps of room for passengers, both front and back, and the boot is significantly larger than in the previous generation. 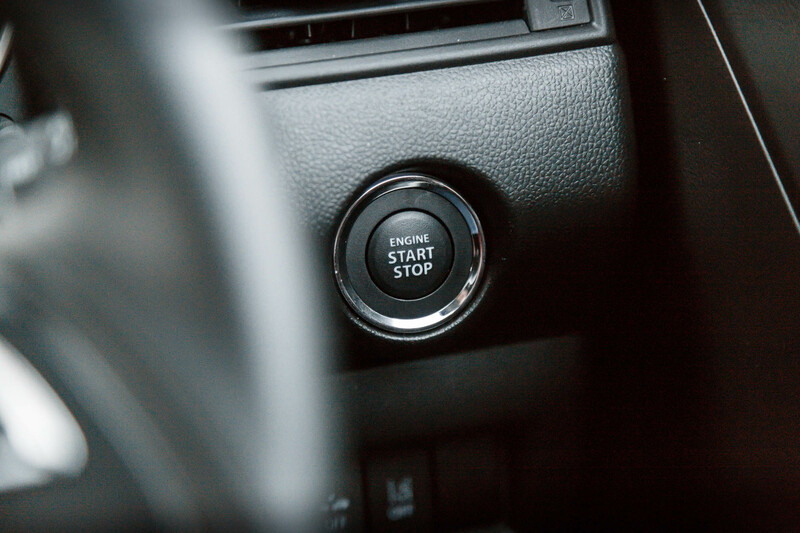 Simplicity, logic and practicality are all winning features that help to open the door to more buyers. 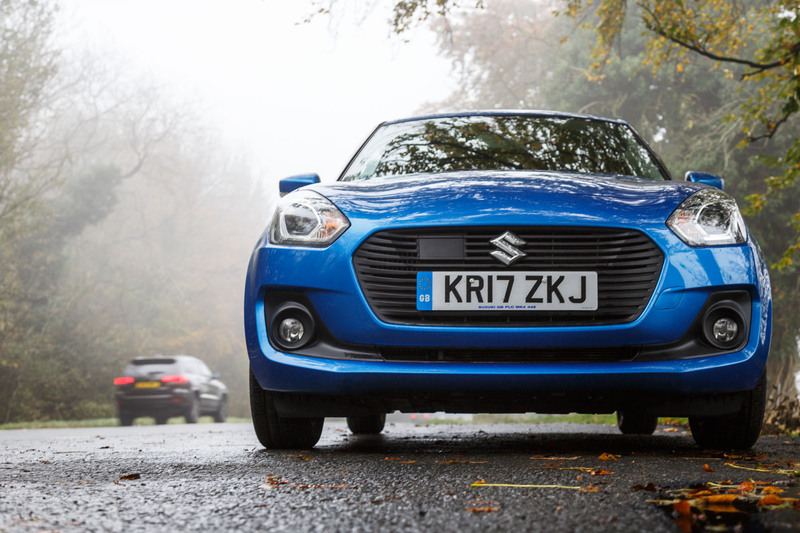 The Suzuki Swift’s punchy 1.0-litre engine really does deliver. I think it is probably the most amount of fun I’ve had with a three cylinder yet. The lightweight package of the Swift makes for a really playful driving experience without taking the car to dangerous speeds on the UK roads. This is a great achievement and even better for young buyers. 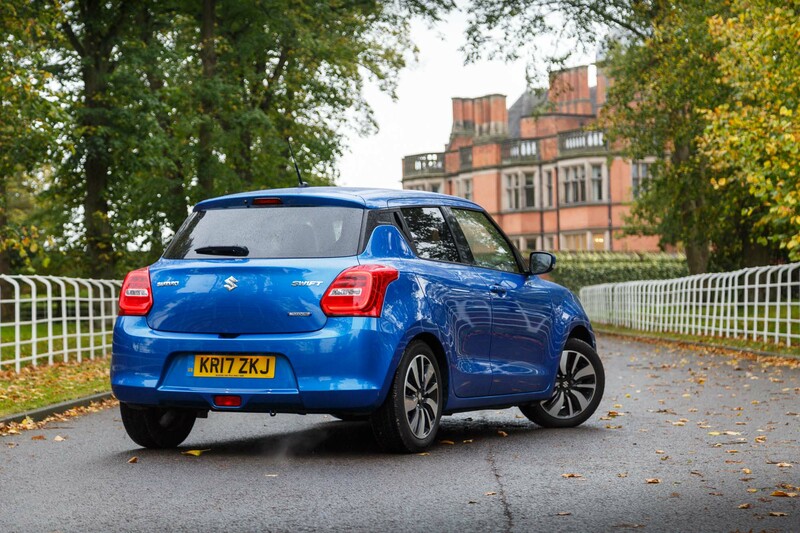 The all-new Suzuki Swift by far exceeded my expectations from what a car in this class is capable of. There isn’t much not to love about it. 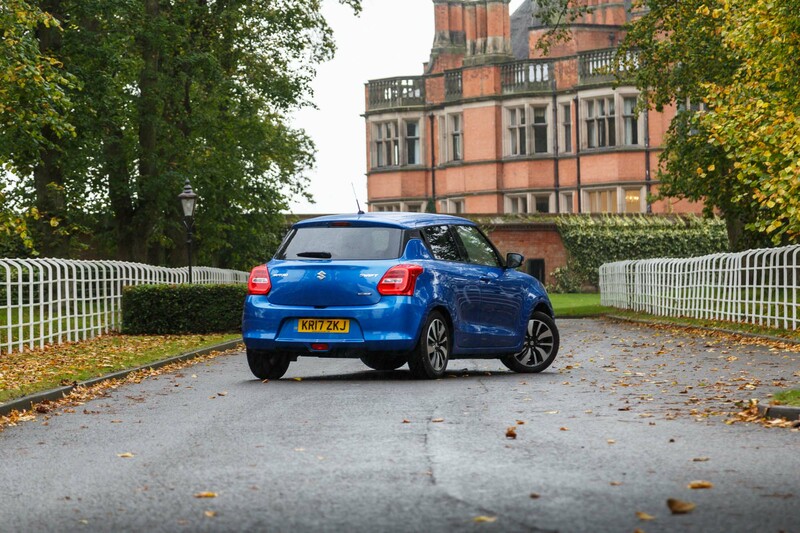 It doesn’t take itself too seriously, which makes it great fun to drive. 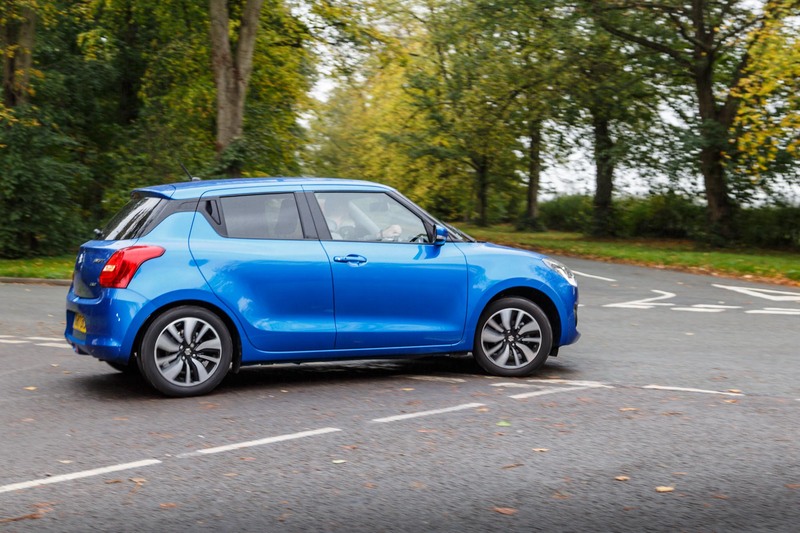 The 1.0-litre engine delivers power per tonne that comes close to matching the previous Swift Sport – a notable achievement in itself. 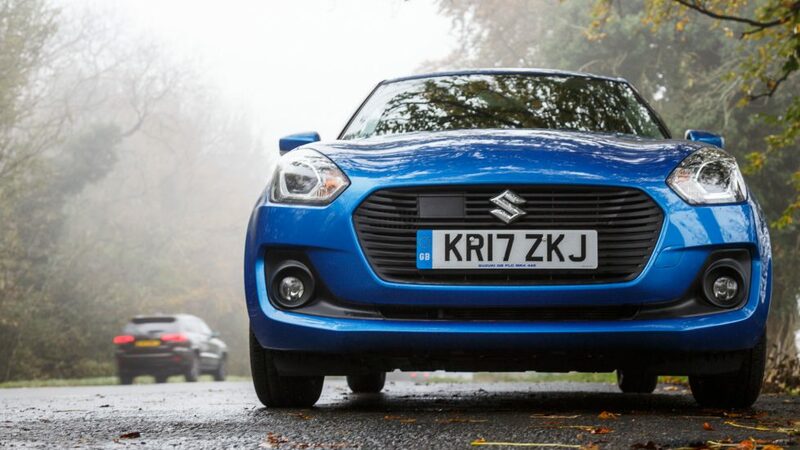 The third gen Suzuki Swift is a safer, more practical, and generally more fun car to drive. 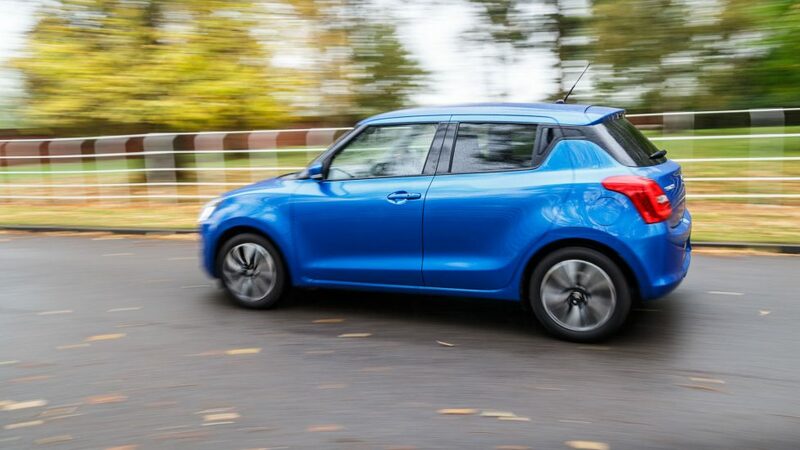 From my experience of it, I can say that it is, hands down, the best Swift to date.